We care about the community whether you are a local or just visiting. 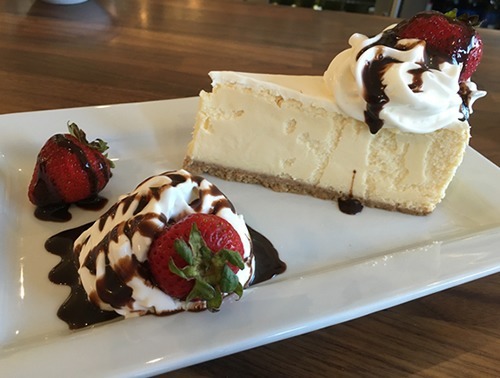 We hope you feel at home while dining with us and wish to thank you in advance for your continued support. feel free to reach out to me any time. Read all about it! Thanks to VCreporter.com for this great article on HBC. We're glad you enjoyed your visit! 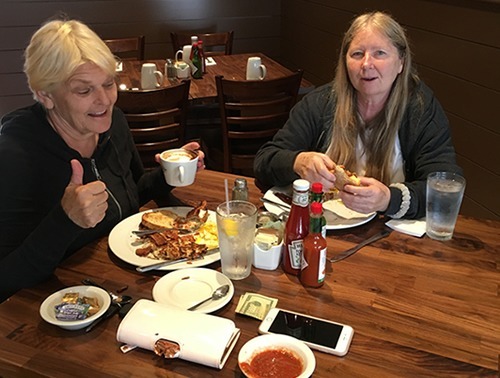 "...When Mrs. Olsen’s Coffee Hut left the Hollywood Beach location it had occupied for over 40 years (for a larger spot at Harbor Landing, which by all accounts appears to be doing just fine), it left a waffle-shaped hole in its wake. The beach side community wasn’t without a neighborhood eatery for long. 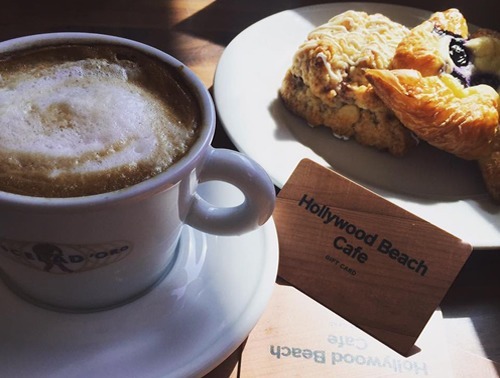 Hollywood Beach Cafe took over the spot, and judging from the full house we encountered on a busy Sunday morning, it’s on track to become another local brunch favorite. ..."
We're pleased as punch about this review in the Ventura County Star by Lisa McKinnon. Thanks, Lisa! Burgers are on us next time you visit. ".... Back in March, Frank Saslow's restaurant in the Hollywood Beach neighborhood of Oxnard was a shell of its former self. The kitchen had been ripped out and there were piles of dirt where diners once sat eating pancakes and scrambled eggs. That makes the pre-Fourth of July debut of his Hollywood Beach Cafe a remarkable feat. Add the fact that Saslow was named one of "America's 10 Worst DIY-ers" by the DIY Network in 2011, and the word "miracle" might also apply. "Let's just say it helped that I brought in the professionals," Saslow said with a laugh. ..."
Our thanks to Rita Moran for this write-up in the Ventura County Star. Thanks, Rita; you and your friends are welcome anytime! "... The refurbished cafe scene is comfortably beachy but also attractive with its handsome dark wooden tables and chairs in the main dining area, a small dining counter immediately inside the entryway, and a back patio that is partially shielded from the elements. Large beach-oriented photos dot the high walls with familiar scenes, including an ever-endearing shot of the late Tillman, the surfing dog, doing his thing. ..."